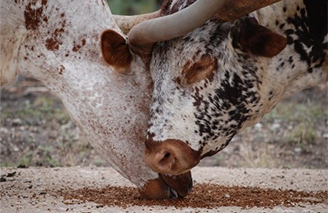 Double K Longhorns is the result of Keith's life long dream to own iconic Texas Longhorns and Kathy's love for all 4-legged creatures. But what began as an innocent hobby quickly turned into an obsession. 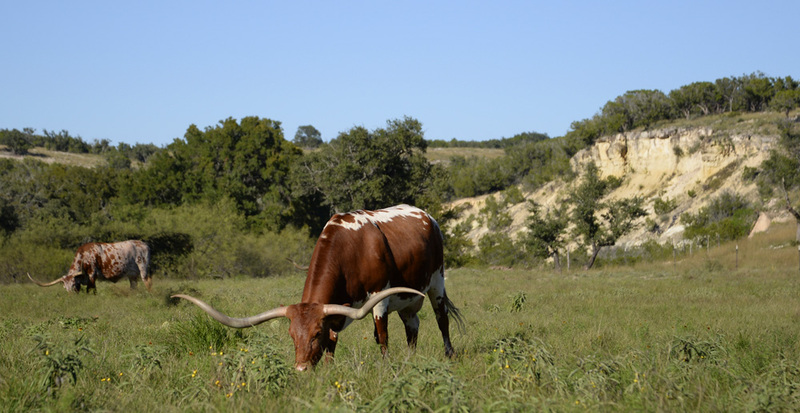 Much time has been spent studying pedigrees, touring longhorn ranches, and learning as much as we could from established breeders. With the help and guidance from some of the very best breeders in the industry, we've built a foundation herd that we not only enjoy seeing in our pasture, but that we believe will help meet our breeding goals. Those goals are to raise total package Texas Longhorns that are functionally sound, possess correct breed conformation, and are marketable to other breeders and longhorn admirers. The traits we desire most and target in our breeding are calm disposition, excellent mothering ability, color and twist horn. To achieve this we're utilizing a variety of both classic genetics and some of today’s hottest new sires. 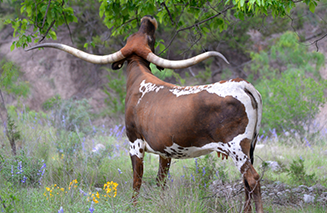 We're located on the western edge of the Texas Hill Country along the banks of Gentry Creek near Junction, TX. Longhorns of all ages and price ranges are regularly offered for sale in the Sale Pen. 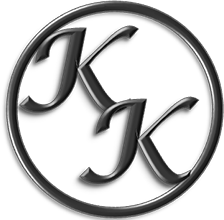 Please contact us for pricing if you're interested in an animal seen there or elsewhere on the website. Should you find one you like, we're happy to recommend experienced longhorn haulers that can safely deliver your purchase anywhere in the continental U.S. 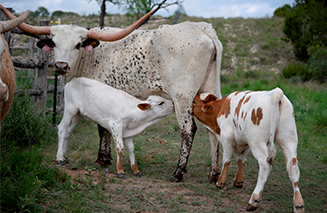 Please Contact Us if you’d like to discuss any of our animals or make an appointment to visit the ranch.